It’s at the HVCCA in Peekskill, this Saturday, January 10, starting at 1 pm. 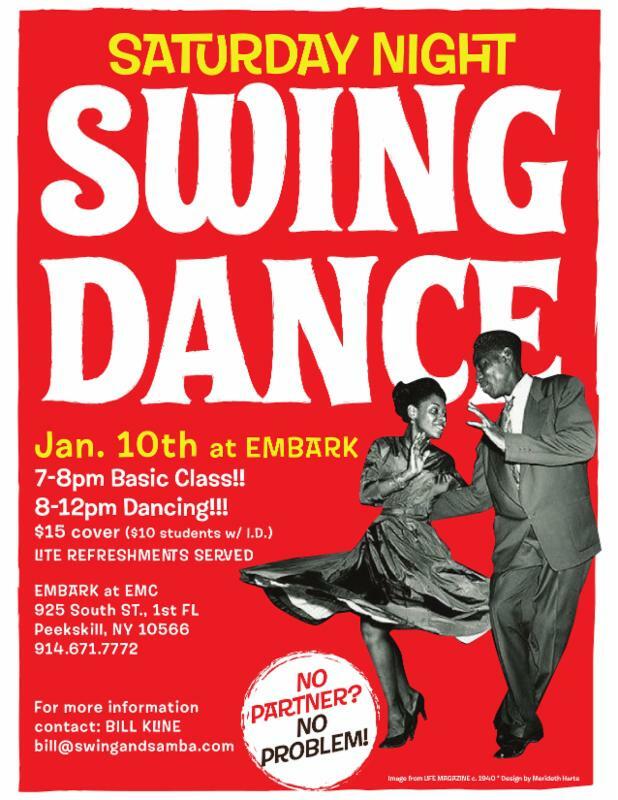 Bill Kline and Katrine Bangsgaard – master swing dancers and teachers from NYC had EMBARK swinging on November 8! open floor for dancing 8:00-11:00 pm! 925 South St., 1st Fl. Do you like cars? Classic cars? How about butts? Classic car butts? And art? Win! Win! Win! Come on down to Gleason’s on Thursday, January 8th at happy hour, and check out some great food, excellent drinks, and the most excellent art of the incomparable Gwendolyn. Get a look at what she’s done before here. Come to the Peekskill Field Library to see the artwork of many local artists. 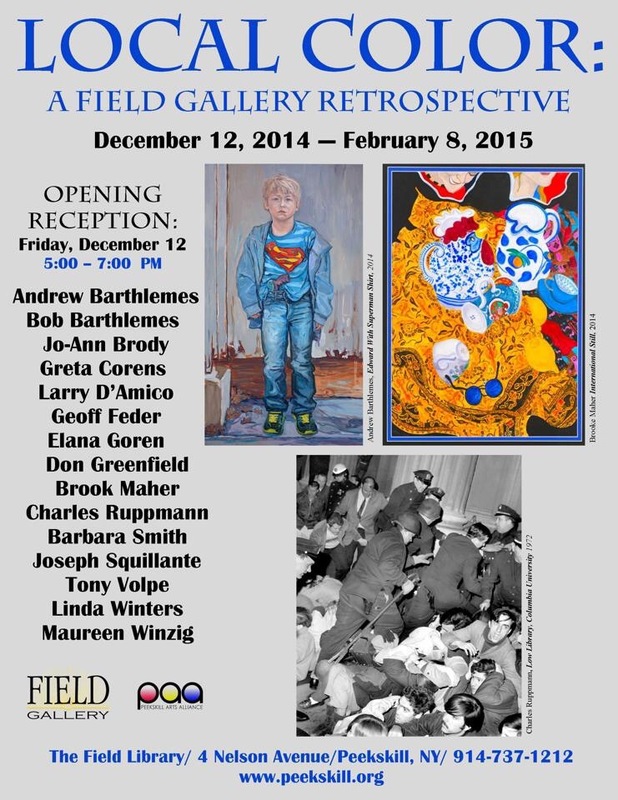 The show, Local Color: A Field Gallery Retrospective, is on display thru February 8, 2015. The Field Library is located in downtown Peekskill at 4 Nelson Avenue, Peekskill, NY 10566. Saturday in Peekskill: shopping, free movies and Tree Lighting! 1:00 pm: Free screening of “It’s A Wonderful Life” at the Paramount Theater.